Joomla is one of the popular content management systems. You can install joomla on ec2 manually or you can use bitnami AMI’s for one click install. In this tutorail i will explain how to set up joomla on ec2 using bitnami AMI. Also read: How to install joomla on amazon ec2 manually. 5. select “launch with ec2 console” and scroll down a bit and select the joomla version and OS of your choice. 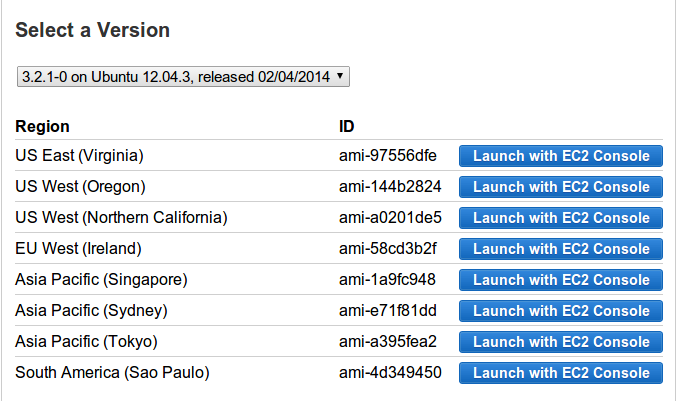 Click “launch with ec2 console” option with the region of your choice. 6. It will take you to the ec2 management console. launch the instance like you would launch an instance normally. Select the instance type, security groups (with ports 80 ,8080 open) , select the key pair and launch the instance. 7. Once the instance is up and running, copy the public ip of your instance and paste it in new browser window and hit enter. It will take you to the bitnami start page. 8. Click access my application and you will be able to access your application. The default user name will be “user” and the password is “bitnami”. You can access the application and application dashboard from the following urls. 9. 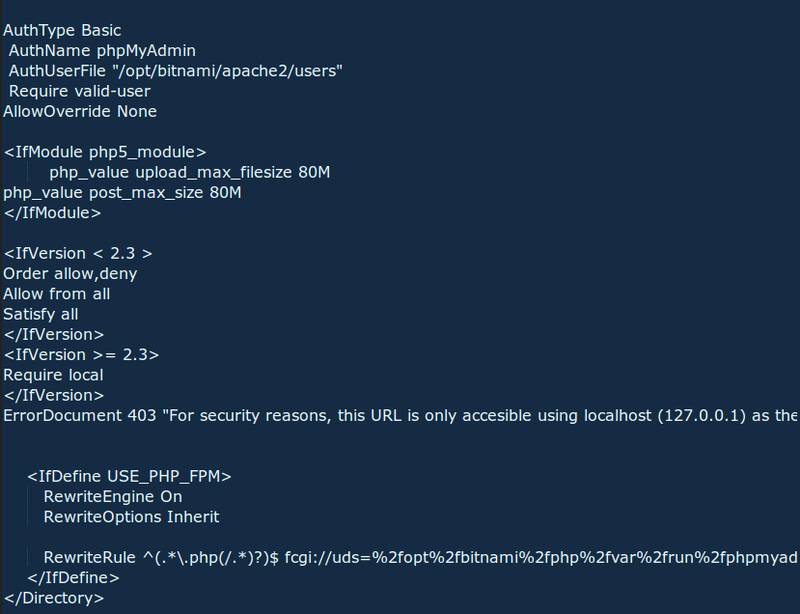 By default you wont be able to access the phpmyadmin page for security reasons. So you have to make some changes to access the phpmyadmin page using your instance public ip or public dns. 10. Connect the instance using putty. 11. open the httpd-app.conf file using the following command. 13. Now restart the apache server using the following command. 14. Now , you will be able to access phpmyadmin page using the public dns . The default user name is root and password is bitnami. You can access phpmyadmin from the following url. You can access phpmyadmin using your localhost by creating a tunnel between your system and the web server. Issue the following command in the terminal and hit enter to create a tunnel. In the above command, /home/bitnami.pem is the path to the key pair you have for the bitnami instance. Replace ec2-64-146-250-177.us-west-2.compute.amazonaws.com with the public dns of your instance. After running the above command successfully , you can access phpmyadmin using your localhost address using the following url. Share this post and leave a comment for queries.